I love autumn. I love the fresh, crisp air in the mornings, the leaves turning vibrant shades of red and yellow. And I love the foods of autumn, apples being one of my most favorite. Does anything smell better than apples and cinnamon baking in the oven? The aroma in our house as this Apple Crisp bakes is intoxicating! The mix of Granny Smith and Gala apples gives a tart, delicious flavor under the sweet cinnamony topping. I didn't add nuts to the topping this time as my daughter's boyfriend is allergic to nuts. I don't want to make the boyfriend sick! I posted this recipe when I first started my blog almost 2 years ago, and it definitely needed a better picture. This recipe fills a 9x13 inch pan, making it a good size for family gatherings and pot luck dinners. It has graced our Thanksgiving table some years also. I hope you enjoy! In a large bowl, mix the flour, oats, cinnamon and brown sugar together. Cut the cold butter into pieces and work into the flour mixture with a pastry blender until crumbly. Stir in the nuts, if using. Store in the refrigerator until apples are ready. Peel and core apples. Slice apples into a large bowl and toss with the lemon juice. Add the sugar and spices and stir; pour apples into a 9x13 inch baking pan. Sprinkle the topping mixture evenly over the apples. Place pan in a preheated 375 degree oven and bake the crisp for 35-40 minutes, until apples are bubbly and the topping is golden. 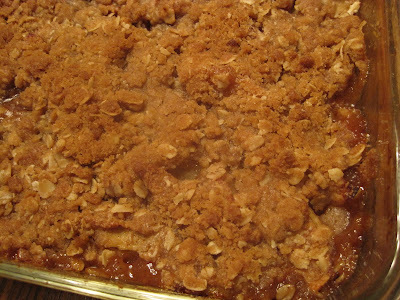 Remove Apple Crisp from oven to a cooling rack. Cool somewhat before serving. It smells so good that it is hard to wait before taking that first bite! Serve it alone, or with ice cream or whipped cream. Enjoy every bite! I could eat this for breakfast! Looks great. I BET the smell was amazing!!!!!! I love anything in a crisp form! I'm planning to do some apple crisps soon..
Oh yes, I am enjoying. It's classic and delicious. apple crisp is my go-to dessert for potlucks, family meals, and even everyday treats. your recipe for the topping is perfect! Hurray I have been looking for a recipe that wasn't pie, I am making this Sunday! You make me want to go to the store and get some apples just so I can smell them baking :) this looks really yummy! ME TOO!! Fall is my favorite, and I think the dishes we make are so much more satisfying. LIke this! YUMMY! 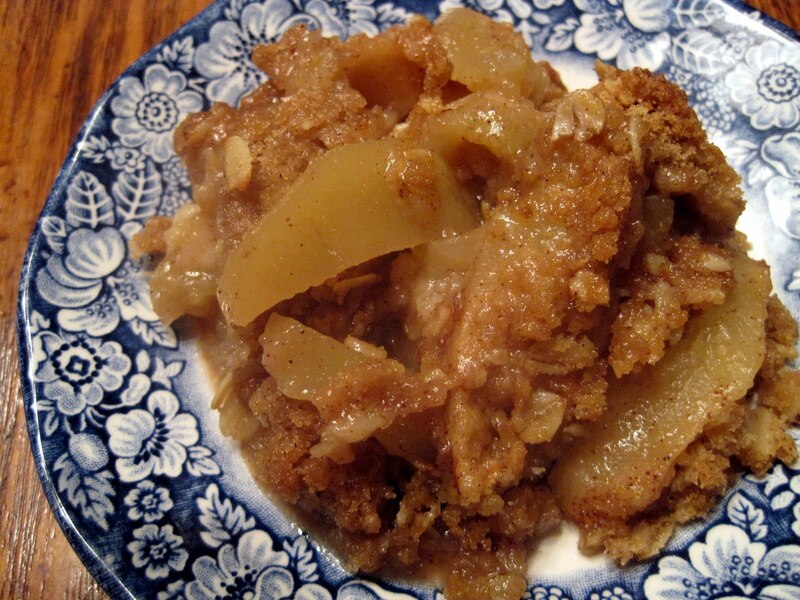 I eat apple crisp all year round. Man do I ever love this!!! !